1. Above subject matter refers. 2. By convention, the meeting of NJC concerning the subject matter is mandatory and expeditious. 3. By convention, too, the NJC meeting under the present circumstance and controversy shall be presided over by the third most senior Justice of the Supreme Court (3rd Upper JSC). 4. Neither JSC Walter Onnoghen (CJN) nor JSC Ibrahim Tanko Muhammed (illegally appointed CJN) shall by the same convention be allowed to preside over or attend the NJC meeting except if invited to testify or for clarification. 5. Recall the celebrated case of Kastina Alu-Ayo Salami Governorship Election Petitions Cases or Judgments scandal involving Osun, Ekiti and Sokoto in 2011. 7. Recall further that our petition was adopted as “lead-petition” by the NJC after its marathon meeting owing to its well rooting (i.e. to Deputy Chairman of NJC) and its neutrality both in content and meaning; leading to announcement of same in the NJC post meeting press conference and its publication in all leading mainstream and online media both within and beyond domestic borders. 8. In the instant case, therefore, same is being prayed: neutrality, unbiased, firm and uprightness of the NJC and its decision. 9. 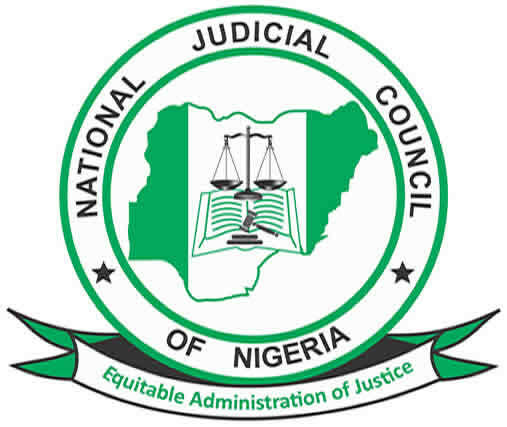 The NJC meeting under notice or demand must refrain from being used to legitimize the clear case of Executive Coup, Lawlessness, Brigandage, Abuse of Power and Recklessness; such as embarking in retroactive investigation of the CJN and retroactive and vindictive sanction recommendation to the Presidency to formalize its recent Coup against the Judiciary. 10.The essence of NJC meeting under notice or demand must be to condemn the action of the Executive in unmistakable terms, ask the illegally appointed CJN to revert to the status quo and annul any official action or conduct taken including the inauguration and swearing in of members of the 2019 Election Petitions Courts or Tribunals. 11. The NJC must also demand from the Presidency the immediate and unconditional reversal of the illegal and unconstitutional suspension of the CJN; after which the same Presidency may drag him to the NJC with its booklet of evidence of his wrong doing, if any. 12. It is only when the Presidency does the needful and the NJC finds CJN Walter Onnoghen credibly indicted and recommends for his removal that the President of Nigeria shall so act. 13.In case the Presidency comes back to its senses and does the needful, administratively, the NJC probe panel and meetings to that effect must not be allowed to be presided over by JSC Tanko Muhammed, who is presently the next most senior Justice of the Supreme Court of Nigeria; but now a rapaciously biased party. The next most senior JSC after him shall be invited to preside over. 14. The NJC shall be firmly guided by the relevant provisions of the 1999 Constitution and further be conscious of her Section 1 (3) (superiority of the Constitution in the event of inconsistency of any other law with the Constitution). 15. The NJC must also take cognizance of the landmark decision of the Supreme Court of Nigeria in Hon. Justice Raliat Elele-Habeeb vs-AGF (2012) 40 WRN 1 (i.e. neither the President nor the Gov can remove a CJN or PCA or JSC or JCA or State CJ or JSHC, etc without recourse to NJC and its recommendation. The litigant was then illegally ousted gubernatorially as the Chief Judge of Kwara State. 16. It must be stated clearly and loudly that our position is not whether the CJN Walter Onnoghen breached or did not breach what he is being accused of, including possibly engaging in misconducts while in office, but the process and circumstances applied by the President or the Presidency are totally reprehensible, coupist and reckless. Nigerian body of laws including the 1999 Constitution and ratified treaty laws totally abhor retroactive criminalization and punishments including jungle justice. 17.When a wrong procedure or process is used by the fighter of corruption against allegedly corrupt person or institution, the fighter automatically becomes the corrupt and the accused the saint.